In case you missed it, the tour dates for the upcoming Levitt National Tour were just announced! We’re less than 10 weeks before this highly anticipated collaboration of old-school gospel, blues and southern rock—between Southern raconteur Paul Thorn and GRAMMY Award winning legends Blind Boys of Alabama—treat Levitt audiences to seven FREE concerts around the country. 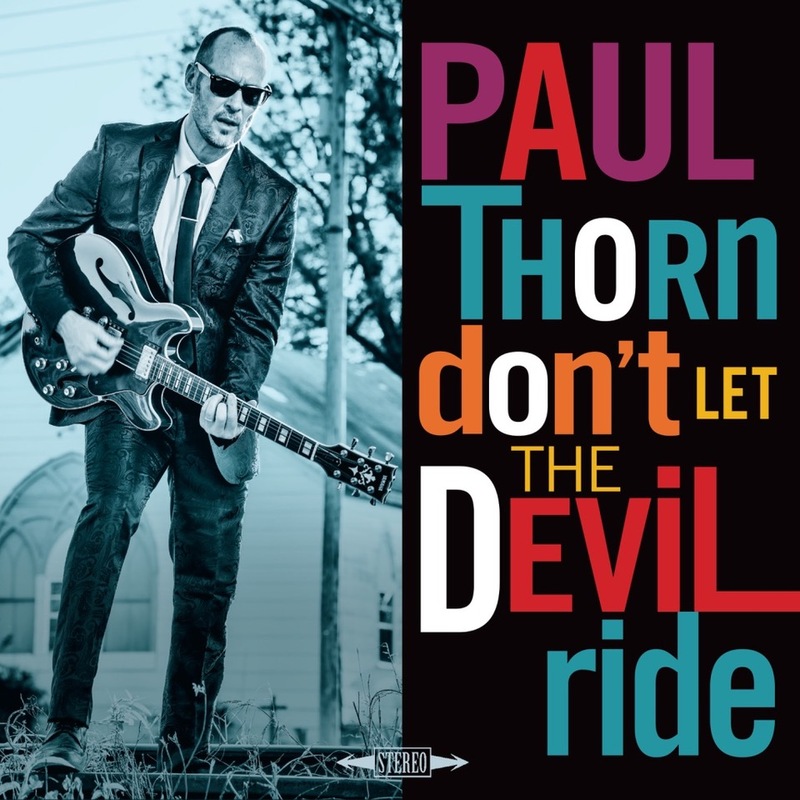 And with Paul Thorn’s new album that released today, Don’t Let The Devil Ride, what better time to get a taste of the exhilarating, soulful blend of Thorn and the Blind Boys’ music that’s headed your way? Billed as the “Mission Temple Fireworks Revival,” this year’s Levitt National Tour is a celebration of the deep connection between Thorn and the Blind Boys of Alabama, as well as a testament to the rich tapestry of southern American music. With individual sets by each artist as well as side-by-side performances, the universally cherished sounds of Thorn and the Blind Boys will fill the air, coast to coast, on the Levitt National Tour. See below for each tour stop date (and watch the above video to get a glimpse of the fun ahead)! Plus, make sure you dive into the rich story behind this one-of-a-kind collaboration, learn about Paul Thorn’s latest, soulful album, and catch up on what makes Blind Boys of Alabama a groundbreaking icon in gospel music. This entry was posted in Levitt National Tour and tagged 2018, Blind Boys of Alabama, Levitt National Tour, Paul Thorn on March 23, 2018 by Rounak Maiti. 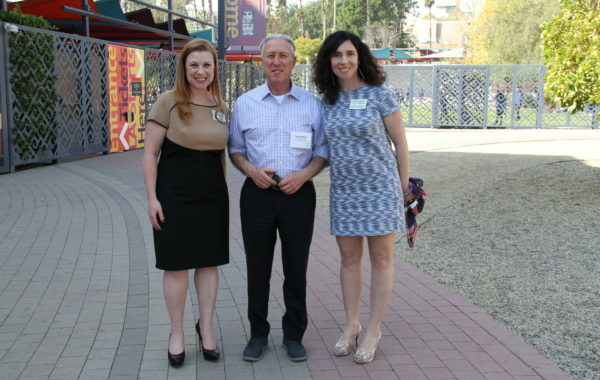 Highlights from the Levitt AMP 2018 Convening! 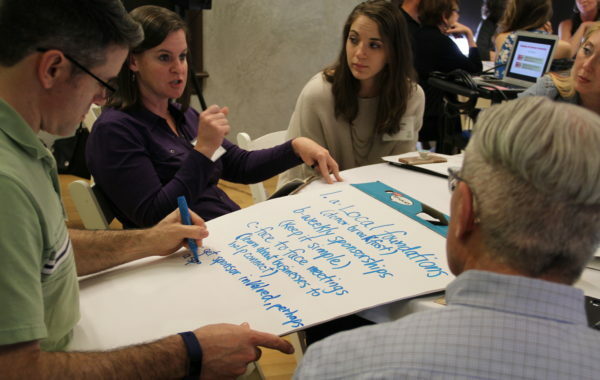 30 arts leaders, 15 small to mid-sized towns & cities and one common goal – to invigorate communities through free, live music! 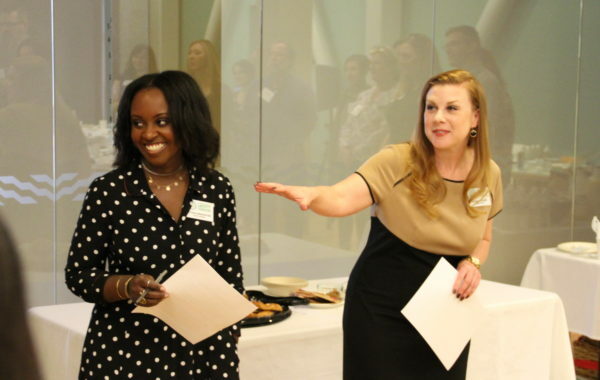 Levitt Foundation Executive Director, Sharon Yazowski, and Programs Manager, Victoria Bridenstine, led an interactive introductory activity with all grantees. 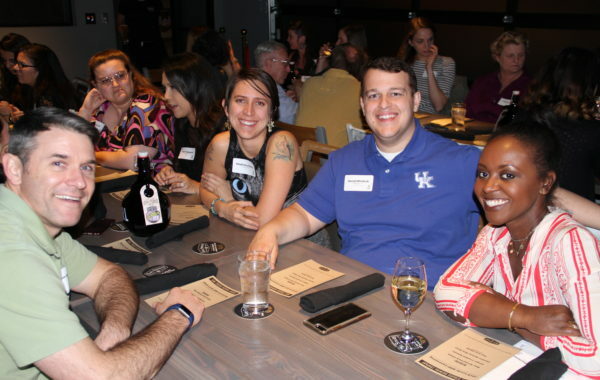 From left to right: Ali Blair (First Friday Berea, Berea, KY), Gwen Childs (Berea Arts Council, Berea, KY), Steve Ruth (Cowan Community Center, Whitesburg, KY), Valerie Horn (Cowan Community Center, Whitesburg, KY), David Whitlock (Discover Downtown Middlesboro, Middlesboro, KY) and Summer Martin (Discover Downtown Middlesboro, Middlesboro, KY). 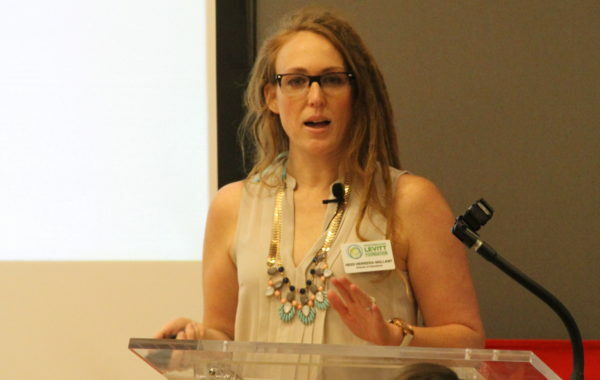 Sharon Yazowski, Executive Director at the Levitt Foundation, kicked off Day One with a presentation on the power of creative placemaking. 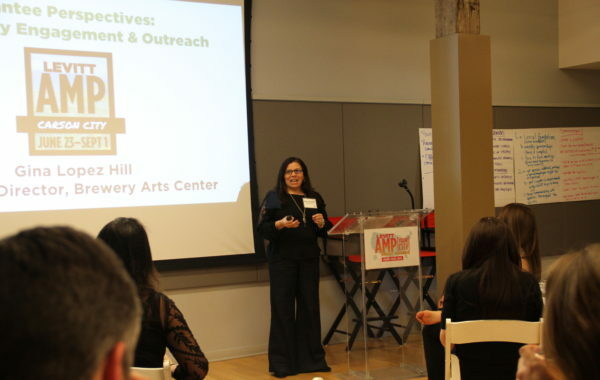 Patti Sanchez, Senior Director of Programs at the Levitt Foundation, walked Levitt AMP grantees through key Programming guidelines for the upcoming Levitt AMP Music Series. 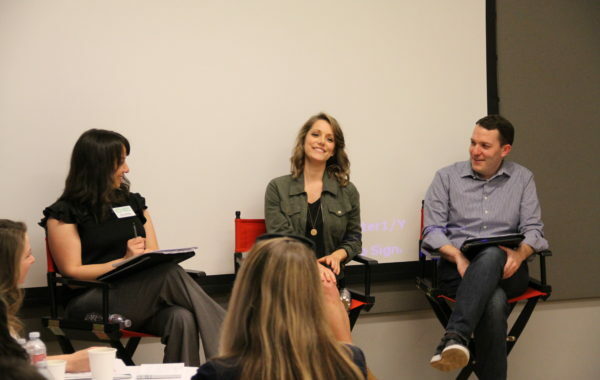 Day One featured an interactive panel session with Shannon Saunders (center), a booking Agent at WME and Patrick Brogan (right), Chief Programming Officer & Manager of ArtsQuest Center (Levitt Pavilion SteelStacks), on programming and booking the best talent. 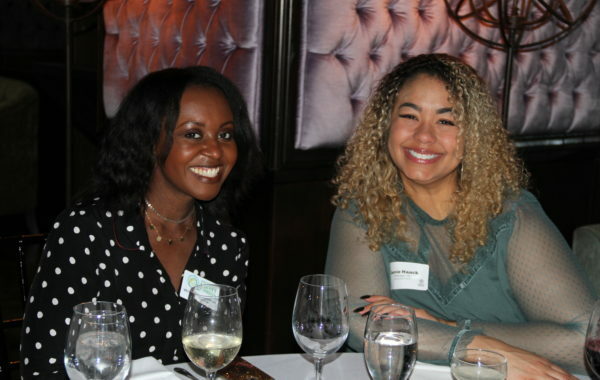 The panel was moderated by Patti Sanchez (left), Senior Director of Programs at the Levitt Foundation. 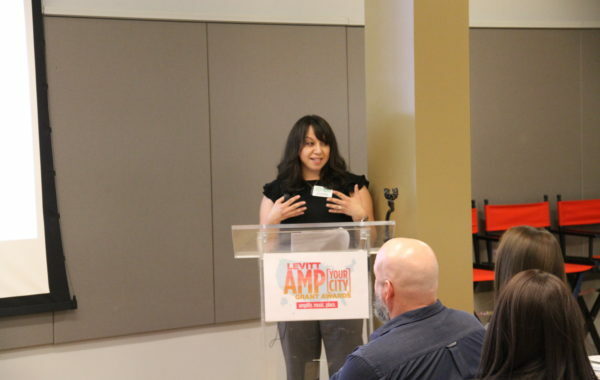 Ali Blair, Director of First Friday Berea in Berea, KY, provided insight on programming for the Levitt AMP Music Series. 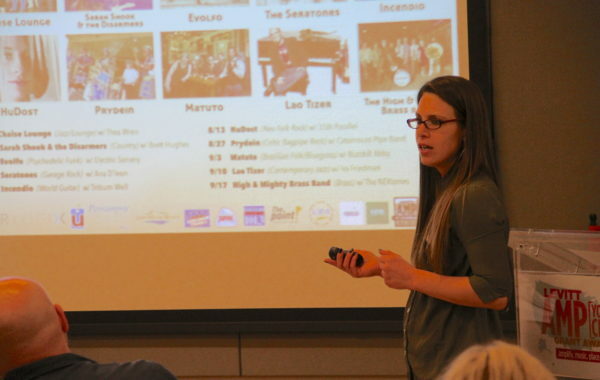 Molly Stone, Community Outreach Manager at Catamount Film & Arts in St. Johnsbury, VT, shared her organization's past successes with booking a diverse range of artists for the Levitt AMP Music Series. 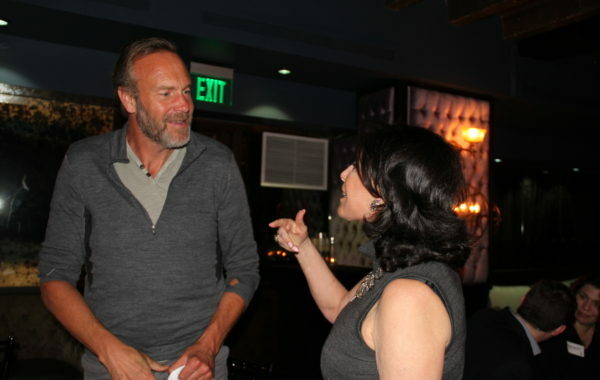 Liz Levitt Hirsch, Board President of the Levitt Foundation and Jamie Lenfestey (AMP Concerts, Sante Fe, NM) struck up a conversation during a Levitt AMP Convening dinner. 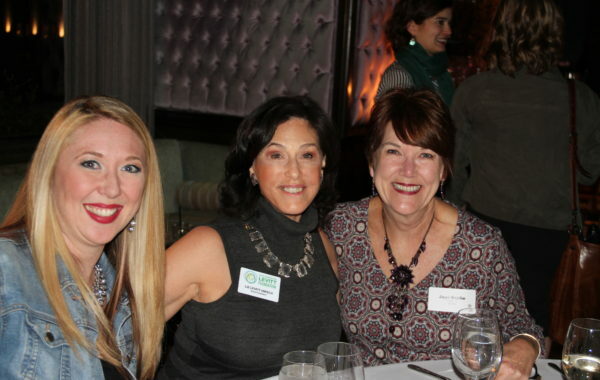 Smile for the camera, Josie Shepherd (California Center for the Arts, Escondido, CA) and Summer Martin (Discover Downtown Middlesboro, Middlesboro, KY)! 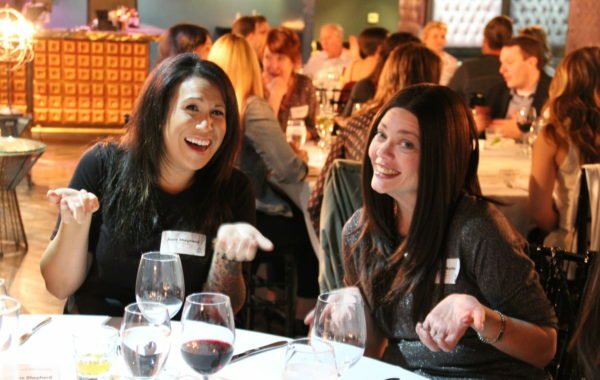 Scenes from the Levitt AMP Convening dinner, Day One. 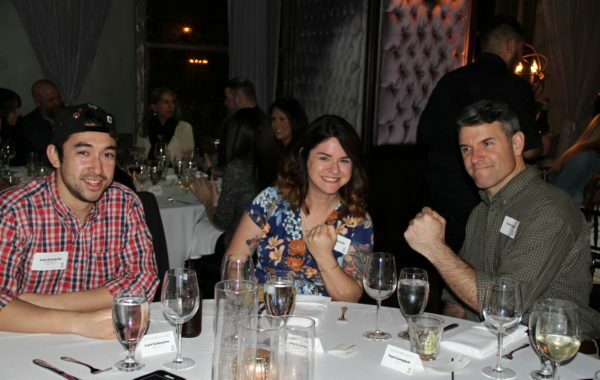 From left to right: Luis Camacho (Brewery Arts Center, Carson City, NV), Amy Casaletto (Ocala Recreation & Parks, Ocala, FL) and Tom Campbell (Galva Arts Council, Galva, IL) are fired up for free concerts in 2018! 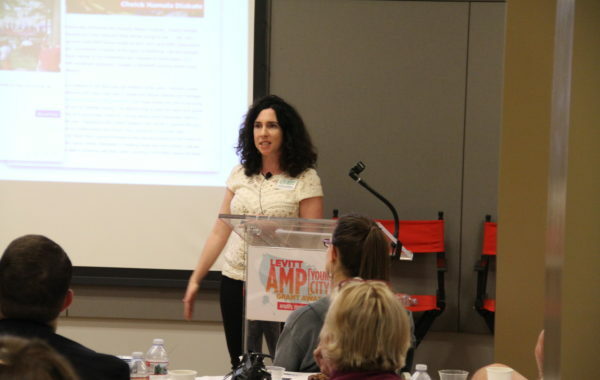 Vanessa Silberman, Senior Director of Communication & Strategic Initiatives at the Levitt Foundation, shared resources and guidance on communications and marketing strategies for Levitt AMP Grantees. 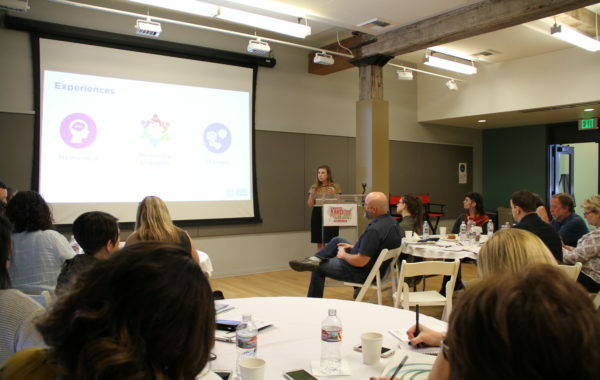 Heidi Snyder de Herrera-Vaillant, Director of Operations at the Levitt Foundation and Venue Manager of Levitt Pavilion Los Angeles, shared useful tips and resources on security preparedness for outdoor live music venues. 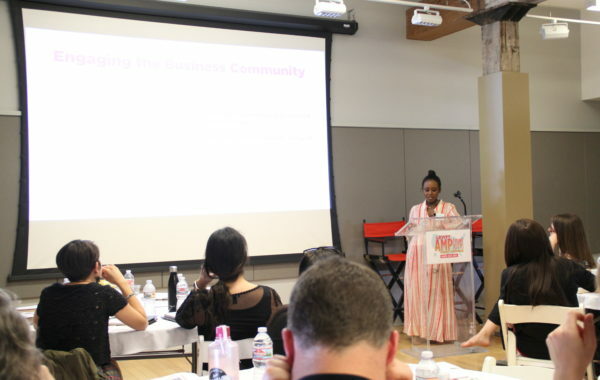 Victoria Bridenstine, Programs Manager at the Levitt Foundation, presented on the essentials of building relationships with local businesses for Levitt AMP Grantees. 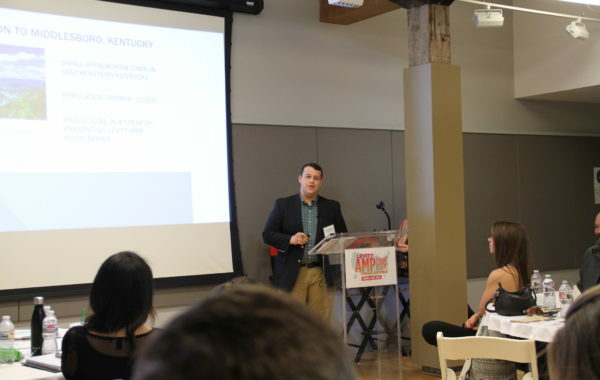 David Whitlock, President of Discover Downtown Middlesboro, shared his experiences with engaging the business community during the Levitt AMP Middlesboro Music Series. 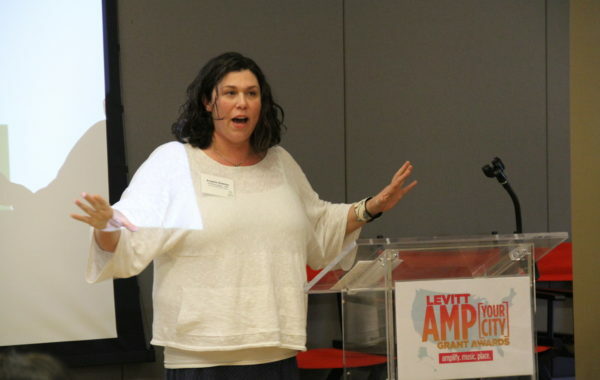 Angela Ramey, Public Programs Associate at John Michael Kohler Arts Center, Sheboygan, WI, gave her perspective on how to engage the business community during a Levitt AMP Music Series. 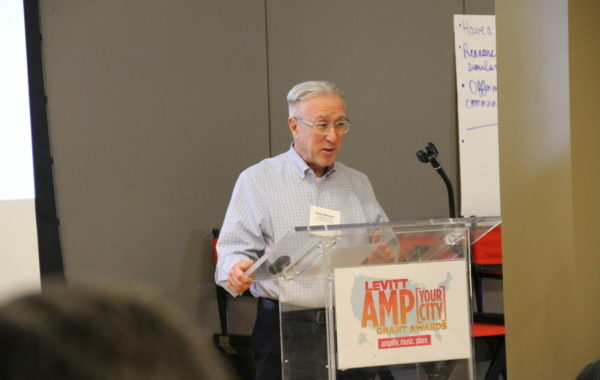 Tom Gilmour, Executive Director of Trenton Downtown Association in Trenton, NJ, gave a presentation on the impact of community engagement and outreach through the Levitt AMP Music Series in Trenton, NJ. 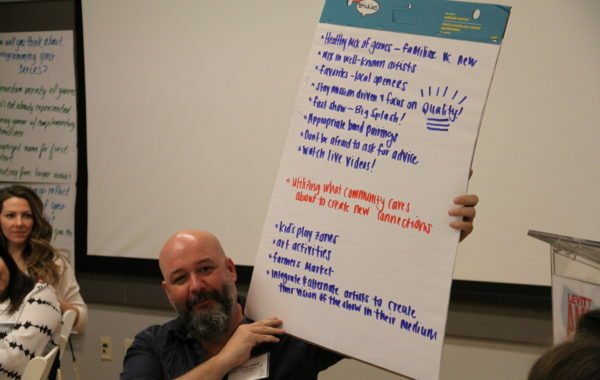 Jody Fried (Catamount Film & Arts, St. Johnsbury, VT) showed off his group's ideas for the Levitt AMP Music Series. 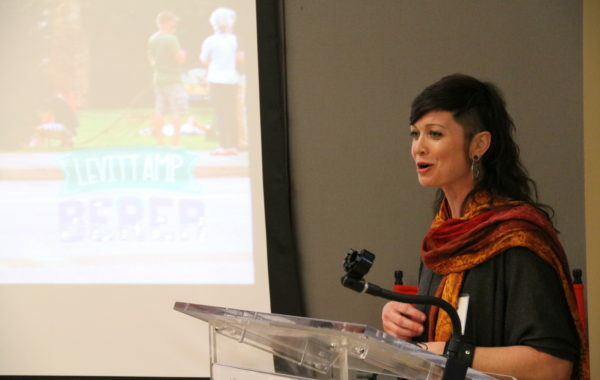 Gina Lopez Hill, Executive Director of Brewery Arts Center, Carson City, NV, spoke about the strength of community engagement in her programming at the Levitt AMP Carson City Music Series. 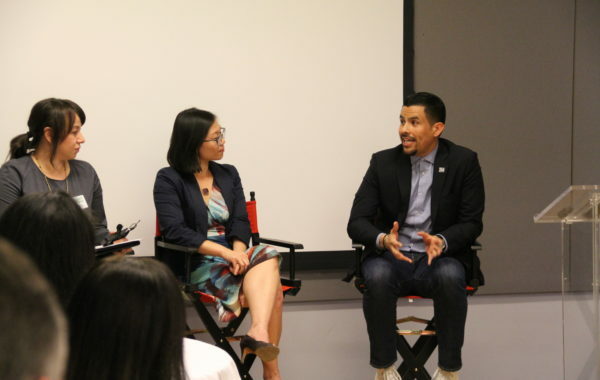 Day Two of the Convening featured a panel with Helen Leung (center), Co-Executive Director of LA-Más, and Rudy Espinoza (right), Executive Director at Leadership for Urban Renewal Network, on engagement and outreach strategies in their communities. 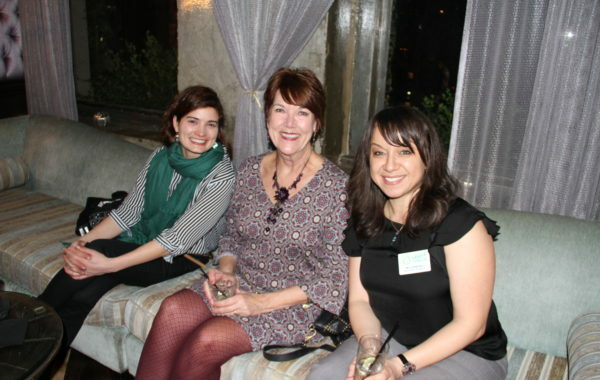 The panel was moderated by Patti Sanchez (left), Senior Director of Programs at the Levitt Foundation. 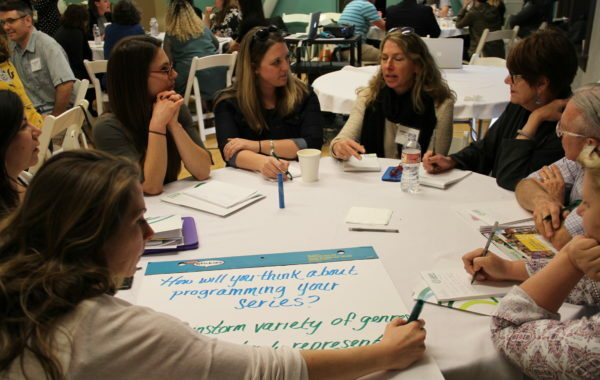 Debbie L'insalata (AMP Concerts, Santa Fe, NM) led a group discussion on how to curate a successful Levitt AMP lineup. 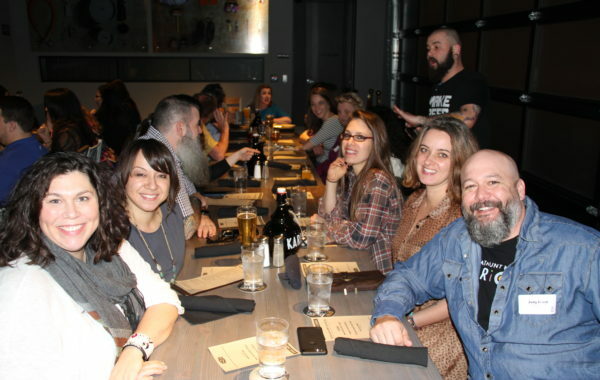 The Levitt AMP Convening ended on a high note at Los Angeles' very own Karl Strauss Brewing Company! 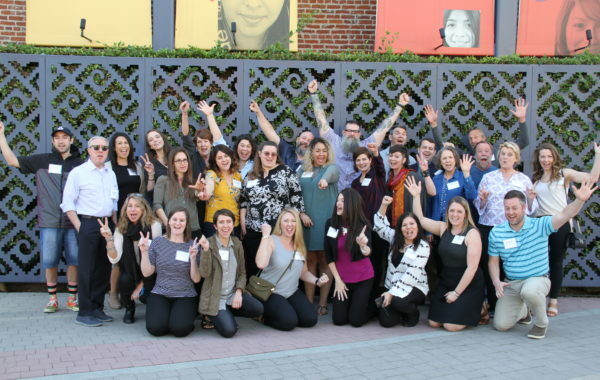 Last week, the 2018 Levitt AMP Grantees joined the Levitt Foundation for the annual Levitt AMP convening at La Plaza de Cultura y Artes in Los Angeles! 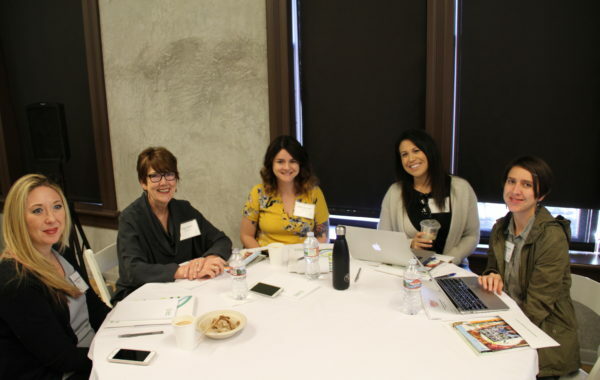 It was an honor to host these inspiring leaders in the arts and share ideas throughout two days of panels, presentations and group discussions. 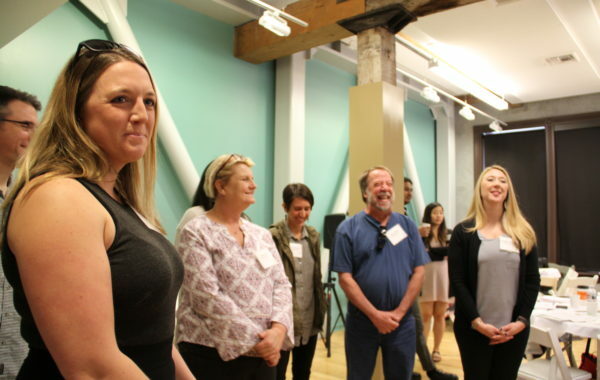 With 15 small to mid-sized towns and cities from California all the way to Rhode Island, this year’s grantees truly represent the breadth of community spirit and placemaking efforts happening across the country. 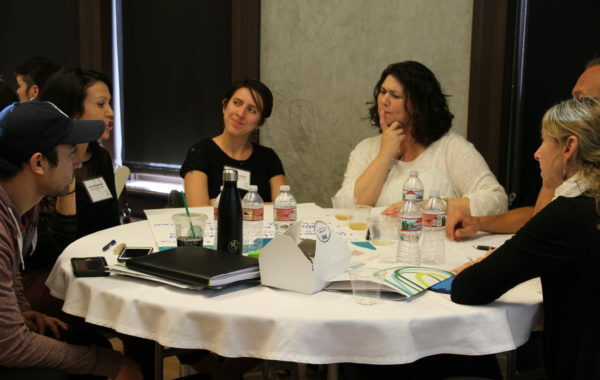 The endless enthusiasm in the room led to fruitful brainstorming and some truly meaningful exchanges. 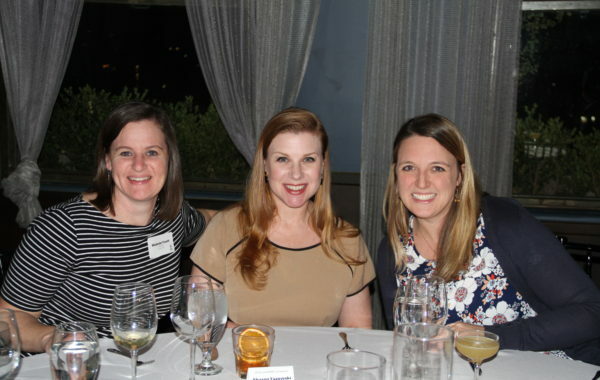 Each attendee left the convening with a newfound sense of energy and inspiration–we can’t wait to see how each Levitt AMP Music Series unfolds with great success this summer and fall! 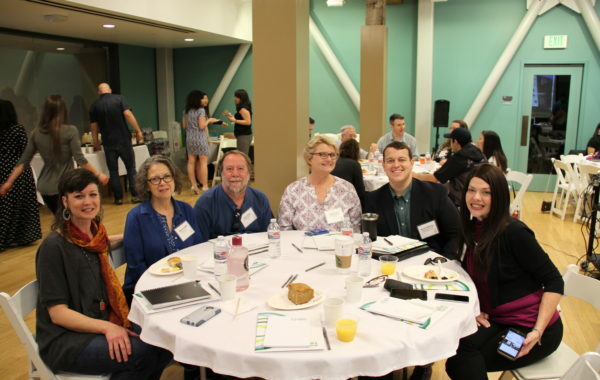 This entry was posted in From the Field, Levitt AMP and tagged 2018, Convening, Levitt AMP on February 7, 2018 by Rounak Maiti. 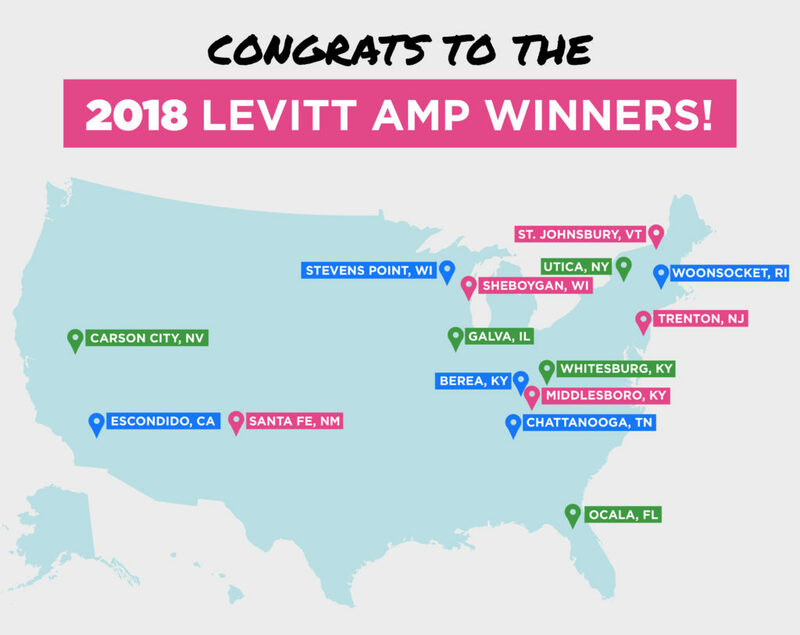 As 2018 begins, anticipation is running high for the Levitt National Tour, returning this summer! Stopping in seven Levitt locations (six existing permanent Levitt venues and one future Levitt venue), the tour will feature the rootsy southern rock of Paul Thorn and old-school gospel of Blind Boys of Alabama—a union of critically acclaimed and universally loved talent that’s truly a one-of-a-kind collaboration. To hold us over until summer, Paul Thorn just announced the release date of his upcoming album—“Don’t Let The Devil Ride,” out on March 23! These 14 songs feature vocals by Blind Boys of Alabama, who are set to co-headline the Levitt National Tour and perform songs from the album across all tour stops. This entry was posted in Levitt Artists, Levitt National Tour and tagged 2018, Blind Boys of Alabama, Gospel, Levitt National Tour, Paul Thorn on January 19, 2018 by Rounak Maiti. 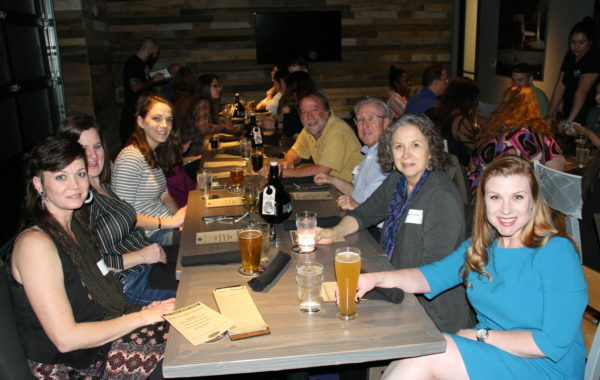 This entry was posted in Levitt AMP and tagged 2018, Levitt AMP, Winners on January 2, 2018 by Rounak Maiti.